Catalan separatists clashed with police on Saturday amid a protest against Spain's far-right Vox party, who were holding their own demonstration in Barcelona. Members of the Catalan separatist Committees for the Defence of the Republic burned containers and threw stones at riot police before they were dispersed. 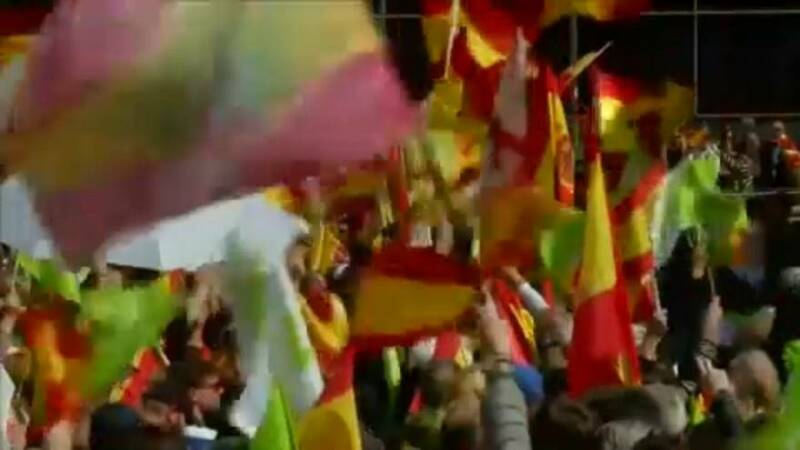 A few streets away, Spain's Vox party also held a rally in the Catalan capital. In December the party won 16 seats in Andalucia's regional parliament. It could also win representation in the national parliament in a month's time when Spain heads to the polls in a general election.